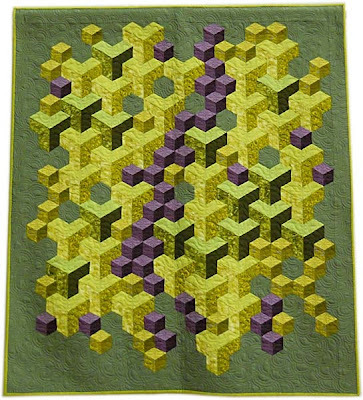 "Steppin' Out in the City" by Claire Victor, Northern Star Quilters Guild 2012, from Pinterest. Oooh, I think it would be pretty tricky to make one of these! Nice job, Claire. holy cow, amazing. I think this one would give me a head ach in trying to put it together.